Love it or hate it, you’re going to get asked a yes/no question or two at some point in your Tarot reading career. Will I move house? Am I going to get the job? Is my relationship going to end? You name it. Those kinds of yes/no questions are coming your way – trust me! So how do you respond? Do you say, “No way, Jose, my Tarot cards can never give a yes/no answer?” Or do you jump at the challenge and whip out your deck and answer straight away? 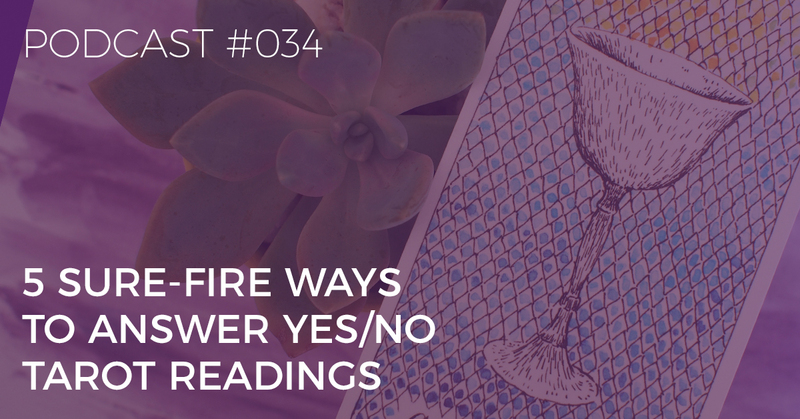 In today’s podcast, I’m going to give you 5 sure-fire ways to answer yes / no Tarot readings. Brigit: You are listening to the Biddy Tarot Podcast, and this is Episode 34: Five Sure-Fire Ways to Answer Yes, No Tarot Readings. Listen as Brigit and her guests share their very best tips and strategies to help you read Tarot with confidence. And now, here is your host Brigit Esselmont. Brigit: Hello and welcome back to the Biddy Tarot Podcast. Love it or hate it, you’re going to get asked a Yes or No question or two at some point in your Tarot reading career. Will I move house? Am I going to get the job? Is my relationship going to end? You name it, those kinds of yes, no questions are coming your way, trust me. So how do you respond? Do you say no way José, my Tarot cards can never give a yes or no answer? Or do you jump at the challenge and whip out your Tarot deck and answer straight away? Well, in today’s podcast I’m going to give you five sure-fire ways to answer yes or no Tarot readings. But before we get into it, I want to say a big, big thank you to everyone who sent in a review and shared their feedback and comments about the Biddy Tarot Podcast. I am so, so thrilled to read through all of your beautiful comments and just remember you can also support the Podcast by going into iTunes and leaving an honest review. Here are two five-star reviews that have been left recently and I’d love to share them with you just to celebrate and honor the feedback that’s being shared. Oh my goodness, thank you, that’s awesome, I’m so excited. Awesome, thank you, and thanks to everyone who’s leaving such great reviews. I really, really do appreciate it and again, if you haven’t had an opportunity to leave a review, please do so by heading over to iTunes. All right, so let’s get into Yes or No Tarot readings. I want to make sure that the next time you’re asked for a Yes or No Tarot reading, you’re not freaking out, you’re not going: “Oh my goodness, I don’t want to do that.” You’ve actually got a few techniques in your back pocket that you can use. But before I get into these techniques, I want to have a little chat about, should we be doing Yes or No Tarot readings in the first place. There’s a lot of different ideas around whether this is a good thing for the Tarot or not. And even whether the Tarot is the right tool, does it really give you accurate yes or no Tarot readings? So, here’s what I think, the future is not set in stone, so it’s really up to you to create your future. We can see something at a particular point in time, so it might be sort of a yes or no at a particular point in time, but as time progresses and as we make different decisions then that answer can indeed change over time. So, even though, like the present moment might be a no, your actions might change it to a yes and vice versa. So an example that I often use is this one, if you wanted to know if you’re going to buy a house and you drew your Tarot cards and it said: “Yes, yes you’re going to buy a house.” You think: “Awesome, I’m going to buy a house, I don’t need to do a thing, it’s just going to happen.” And then you sit there and you do nothing, and you go: “Well the house said it was going to be here in June, and where is it?” And June passes and there’s no house. Well, clearly if you don’t take action then the result from that Tarot reading won’t occur. I do think it’s important to remember that we have free will, we make decisions, we take actions and that can indeed change whether a Tarot reading is a yes or no. Then the other thing is that I really do believe that Tarot offers a whole lot more depth rather than just answering a question yes or no. The beauty about Tarot is that it really uncovers what’s underlying a situation, what’s going on around a situation, what energies are present, what actions you can take, and so on. For me I believe that there’s so much more that you can do with the cards then just simply go yes or no. So you clearly know what my preference is, I prefer not doing yes or no Tarot readings and instead I prefer to use the Tarot cards to explore options and identify the actions that you can take. /but I’ve been asked, many times, for a Tarot reading that will give a clear yes or no answer and instead of just blanketly saying: ” Nope, don’t do it,” I like to be able to give a response but in a way that also honors the way that I see the Tarot and how I like to use the Tarot. So, I’m going to help you today with these sure-fire ways to give a yes or no Tarot reading so that if you’re ever put in this position of someone wants to know yes or no, you’re not just saying no straight away, you’re actually helping and doing your absolute best to use the cards to answer questions. Here are a few techniques that you can use from the most basic to some more advanced techniques. All right, shall we get into it? And actually before we do get into it, let me just remind you that if you head on over to BiddyTarot.com/btp34-yes-no-tarot-readings, you’ll find a reference sheet for how to do yes no Tarot readings. And I go through the five different techniques here as well as a couple other helpful resources and you can download that and have that in a handy place for when you do yes, no Tarot readings. Plus if you head on over to BiddyTarot.com/btp34-yes-no-tarot-readings, you’ll also be able to access the show notes and the transcript. Ok, so let’s look at technique number one. This is super basic and all you need to do is look for an upright card or a reverse card. So an upright card would mean yes and a reverse card would mean no. Now of course you’ll want to make sure that your deck has a balanced mix of upright and reverse cards and to do that you can always cut the deck, turn the cards kind of 180 degrees from top to bottom, and then reshuffle again. Do that a couple of times so that you get upright and reverse cards and then when your draw the card for the question, if it’s upright, then it’s yes, if it’s reverse, it’s a no. It’s a really, really simple technique but it also does give you a simple answer. So let’s keep looking at a couple of other techniques that might give you a little bit more depth to your yes or no question. Technique number two is to identify what cards in the Tarot deck refer to a yes and no or a maybe. Quite simply, you get your Tarot deck and go through it one by one and place the cards that you feel are more likely to be yes in one pile. In another pile you’ll have your no cards and in the third pile you’ll have your maybe cards. And so, for example you might flip over the Sun, well the Sun is pretty positive, so I’d be putting that in a yes. Maybe you flip over the Tower in which case that might be a no. Or the Seven of Cups, where the guy is faced with all of these choices that might be more of a maybe. So go through all of the cards one by one and pop them into the piles and then make a list of the cards that you’ve put into each pile. And that’s really your personal list of your yes and no cards. 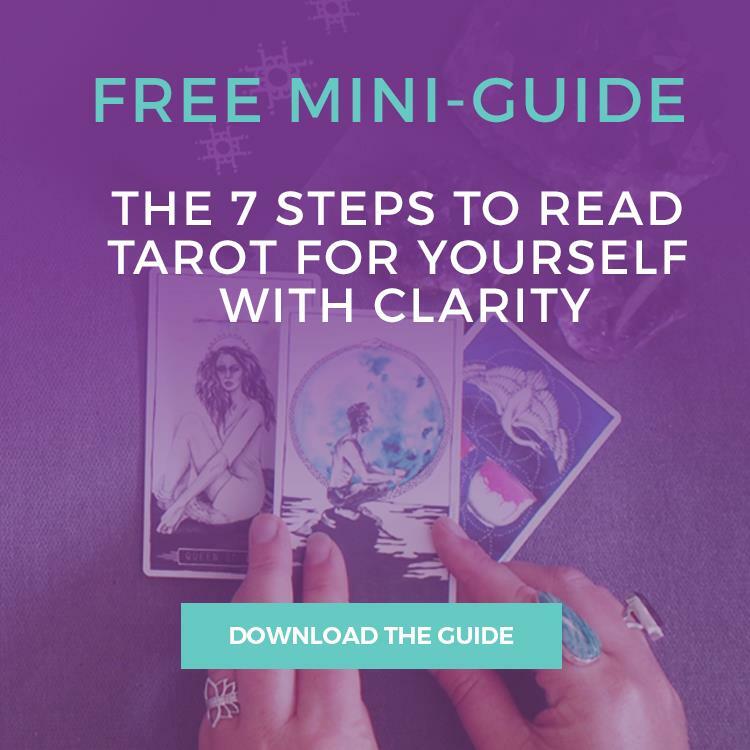 And I think that it’s really important that you decide this list before you do a Tarot reading and then stick with it, otherwise you might be a little bit tempted to change the answer according to what you want to see in the Tarot reading. Now if you’re thinking: “Holy moly, Brigit, how am I going to sort through 78 cards and put them in their exact piles?” Well, I have done some of the work for you and if you head on over to BiddyTarot.com/34 you’ll find my downloadable PDF with the list of cards that I think form a yes, no or maybe. So you can also download that and use that. Now you might look at my list and go: “What? 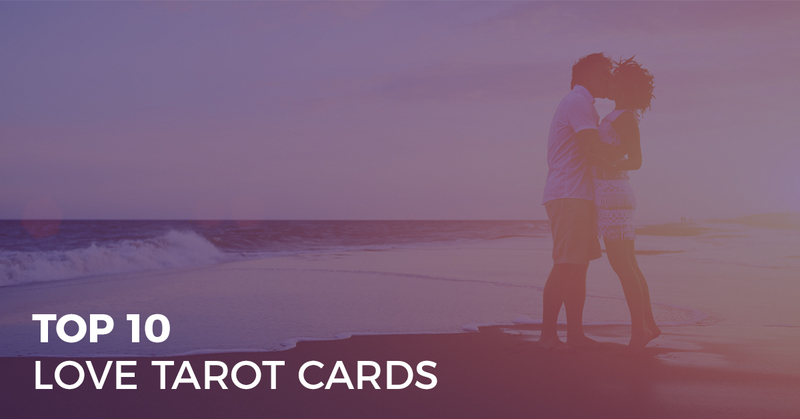 Why did she put that card there?” And that’s ok if you don’t resonate with the way I’ve organized the cards, I definitely invite you to personalize it for what you feel is right for your Tarot readings. Remember, there is no sort of hard and fast way of whether a card is yes or a no. Ok, so that was deciding your yes and no cards. The third way to do a yes or no Tarot reading is to look at what’s favorable or unfavorable. Now, this is really starting to tap into this idea that the future is not set in stone and I really struggle to be honest with saying a definite yes or a definite no when it comes these kinds of questions and using the Tarot. So, I tend to use, I guess more flexible language when I’m doing a yes or no Tarot reading. You might like to say: “Well this situation is favorable or the situation is unfavorable.” So, that’s instead of saying a yes or it’s a no, by saying it’s favorable or it’s unfavorable because that’s leaving a little bit of room for things to move and change and shift as they do in normal natural life. You can also use other language like it’s likely or it’s unlikely or it’s very unlikely something along those lines and again it gives you that little bit extra wiggle room so that you’re not giving a definite yes or no because again if you’re like me you might feel some discomfort in saying a definite yes or a definite no. Ok, so that was technique number three. So, now we’re starting to get into the last two techniques, a little bit more advanced but really if you’re new to Tarot then these techniques aren’t completely out of reach it just takes a little bit more thinking space as you’re doing your Tarot reading. So stick with me. Ok, technique number four is yes, if, no, if. Here’s what I believe, I believe that the yes and no answers in Tarot are often conditional, so it might be yes if this thing happens or yes if this particular situation is the way it is. So basically what we’re trying to answer here is what needs to happen for this to be true. For example if you say will I buy a house this year? And the card you draw is Seven of Pentacles, all right so that might be, you might think the Seven of Pentacles, that sounds like more favorable, it might be on your yes list, in which case you say: “Yes, if,” and as you’re saying the yes, if you’re interpreting what that card means. So, yes if you’re willing to put in the work over the long term and yes, if you’re willing to save money and you use your savings. So that’s one example. Now, let’s say for that same question, will I buy a house this year? And maybe you draw, let’s see, maybe you draw the Tower, so again the Tower might be on your no list, in which case you might say: “Well, will I buy a house this year?” No, if something unexpected happens and so you’re starting to think: “OK, so it’s looking unlikely that I’ll buy a house, maybe because something else is going to happen that will put things upside down a little bit.” So, that’s a handy technique if you come from a perspective that the future is not set in stone and that there are often conditions around a yes or a no answer. Now here’s a sort of an extra technique with the “yes, if, no, if” technique. When you’re doing a yes or no reading, you might actually draw one card for yes if, and another for no if. Let’s say we’ve got, again, will I buy a house this year? And you draw a card for “yes if” and maybe it’s the Seven of Cups. So, in this case it might be yes, if, if you have a number of options and you’re exploring a lot of different options. So that’s kind of telling you if you want to buy a house this year, you need to make sure that you’ve got lots of different options, maybe you’ve got to go to quite a few different auctions or you need to really keep your options open. Then you draw another card for no, if and maybe you get a no, if Three of Wands. Now in this case it might be a sign that you might actually be looking at moving overseas or traveling overseas so you might not buy another house if you decide to go and travel overseas. I think that can be a really interesting way of responding to yes and no questions, because now you’re starting to really tap into the potential of the Tarot cards which shows you more of the options that you can take and leaves that decision making up to you as the client or the reader, well as the client really. So I really do encourage you to try that out so draw one card for yes, if and one card for no, if. Alright, so the final technique is a little bit more fluid and it’s not so structured as the one’s that I’ve just been sharing with you. And this is just a simply interpret the card. You might ask a question here again, maybe it’s like: “Should I move house?” in this instance and you draw the Six of Swords. Now, the Six of Swords might be on your no list of cards that mean no, but because you’re asking a question around moving, you might now look at the Six of Swords and go: “Well actually this person is moving, they might not be particularly excited about moving, you know we see that mother and child in the boat and the man’s rowing the boat across the water and they kind of don’t look too happy about it but it’s happening, they’re moving.” In this case it may be a signal that yes in fact you should move house, of course, that’s a whole other podcast topic around should and so on and not making decisions instead letting the Tarot make the decision for you. But in this case if you ask should I move house and you’re getting the Six of Swords, you might actually interpret it as a yes, so this is a good technique if you are comfortable with some ambiguity and uncertainty in your Tarot readings and you’ve mastered the Tarot card meanings in such a way that you can read more fluidly. Of course if you’re thinking about this and going: “Oh my goodness, how am I going to know what the Six of Swords is really meaning for me?” then use one of the previous techniques that I’ve walked you through, that has a little bit more structure to it. And that’s perfectly ok.
That was our final one, just to interpret the card according to the question and just be aware that it might be a little bit more fluid and flexible than those previous techniques that I’ve shared with you. So, there you have it, those are five sure-fire ways to answer yes or no Tarot questions and just as a quick recap. We had one, was to read an upright card as yes, reversed as a no. Number two is to decide before you do any Tarot readings which cards are yes’, which cards are no’s, which cards are maybe’s and then just stick with that. The third technique was to look at more around using flexible language, so is something favorable or unfavorable, likely or unlikely and to phrase your Tarot reading that way. The fourth is to look at yes, if; no, if to use more of a conditional technique and even draw two cards that show you yes, if; and the other card would be no, if. And finally to interpret the card, so keeping really flexible around what that card might mean and how it will answer your question. So, how exactly do you do a Tarot reading a yes or no Tarot reading, well, here’s the thing, simply ask your direct question that has either a yes or no answer, shuffle the Tarot cards and draw one card only and that is your answer. Of course, you could do that sort of yes, if, no, if two card spread but in general I suggest just draw card only to keep it nice and simple and straightforward. 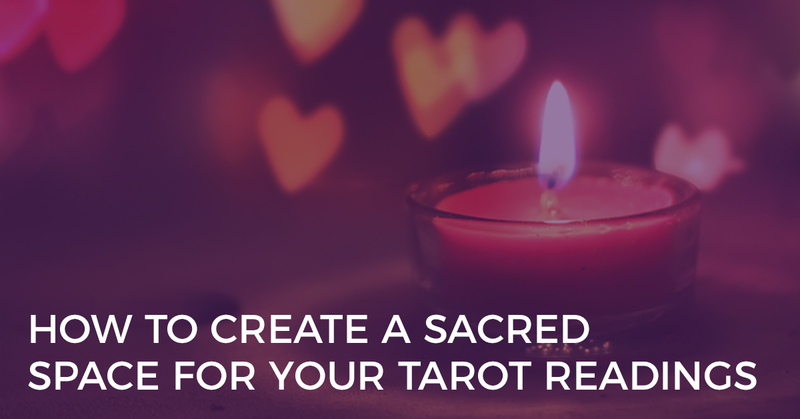 Now there are a couple of things to keep in mind as you’re doing this yes, no Tarot reading. One is to be disciplined, don’t keep drawing extra cards if you don’t like the answer. I know it’s tempting, I’ve been there before but you really do need to set some rules and boundaries that you just draw one card and that is your answer. Number two is be prepared, don’t ask the question if you don’t want to know the answer. Recently I just jumped online I thought I wonder what is out there in terms of yes or no Tarot readings and as a computer generated Tarot reading, I have different perspective on that but I asked: “Will my out coming launch be successful?” And it gave me a no and I thought: “Oh stuff that, I’m just going to switch that off and then I thought come on Brigit, you shouldn’t have asked the question if you didn’t want to know the answer, don’t ask the question.” So just remember that for your Tarot readings and also for your clients make sure that you actually want to know what the answer is no matter what that answer is. So, number three, just be careful because if the yes or no question is weighted towards an unwanted outcome you may need to refocus that question. So for example, someone might ask: “Am I going to lose all my money and be poor for the rest of my life?” And you’ve got to think, ok, if the answer to that was yes, yes you’re going to be poor for the rest of your life, does it really help you? Is that really the question you want to ask here? Or do you actually want to know how do I make sure I’ve got enough money to sustain my lifestyle or to live comfortably? So just be careful of those questions that rare weighted towards an unwanted or negative outcome. And number four, just watch out for those double or triple questions, so you might of noticed the one that I just gave you, for example in this question: “Am I going to lose all of my money and be poor for the rest of my life? ” You’ve actually got two questions in here. One is am I going to lose all my money? And two is am I going to be poor for the rest of my life. When you want direct yes or no answers then you need to make sure that you have just one question in the question, so it might be in this case: “Am I going to lose all my money?” Well then draw a card for that. And then: “Am I going to be poor for the rest of my life?” Draw a card for that, of course keep in mind do you really want to know the answer to this and will the answer be helpful for you? Could there be a different question actually that you want to ask that will be more helpful? There you have it, I hope you’ve got some great techniques now under your belt so that when you’re asked a question in Tarot that requires a yes or no answer, you’ve got a couple of techniques that you can use and instead of running for the hills and going: “Ahhh, I don’t do that kind of reading,” you now have something you can work with and experiment with. Even if you have been avoiding yes or no questions, why not just try it out for the next couple of readings to do a yes or no reading and see how it sits with you, try these different techniques. Find one that works best for you or maybe even decide after trying all five that no, that’s not your thing and that’s ok because you’ve tried it out and that’s what matters the most. I Hope that’s been really, really helpful for you. Now if you really enjoyed learning more about how to use the Tarot cards then you’re going to love the Biddy Tarot Community. Just imagine a place that is just filled with amazing people who love to read Tarot just as much as you do and who are eager to learn to become confident and intuitive Tarot readers. Inside the Community you’re going to find discussion forums where you can ask your questions and get answers, you’re going to find Tarot 101 video course to help you learn the basics of reading Tarot, plus you get access to monthly live Tarot tutorial webinars with me and you get ongoing support and mentoring as you begin to really get into Tarot and learn how to use it in your life and others. 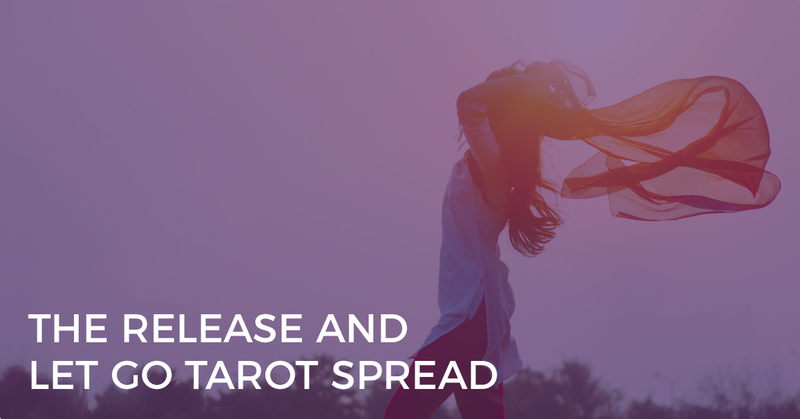 If that sounds like something you’d be interested in, I would love to see you in the Biddy Tarot Community, head on over to BiddyTarot.com/community and you’ll find out all of the details. I want to say a big thank you for listening. I’m so honoured and thrilled to be in your ear buds or in your ears talking about Tarot and sharing the Tarot love. Can’t wait to connect with you again soon, thank you and good-bye.